Assure application quality, reliability and predictability for mobile and desktop users. Find and resolve problems before users are impacted! 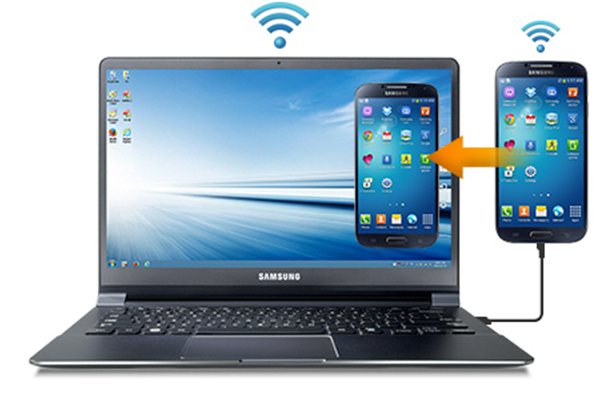 Mobile Internet usage has already surpassed Internet desktop traffic, and 89% of IT departments enable BYOD! Employee productivity hinges on your ability to ensure that your applications are fast and accessible from mobile devices. Partners collaborate, exchange information or access your partner portal on the go. Customers are accessing your website from mobile devices in record numbers. To support all these mission-critical activities, your applications must over-perform 24x7x365 for desktops and mobile users, or business operations and revenue will be brought to a halt. 47% of consumers expect a page to load in 2 seconds or less, and 40% of mobile users abandon sites that take more than 3 seconds to load. Similarly, internal employees and partners expect a quality user experience from their mobile devices, tables or desktops, and will loudly complain when applications underperform. Ready to find and eliminate application quality issues and ensure always-on access to IT applications and services for all your users? Complete QA coverage with 1 license: Learn, set up and configure ONE solution for all your test requirements (functional, regression, performance, and latency). Support for ALL applications: (Java, .NET, Citrix, Microsoft Terminal Server, Terminal Emulation Mode, SAP, Epic, Cerner….) All you need is access from a Windows client or an Android device/tablet running KitKat 4.4+ to the target application to start testing. Point-and-click scripting wizard: Easily automate all mobile or desktop user actions (clicking on, comparing, verifying, awaiting display images…) with no efforts, and no scripting skills required. Test real user experience: Generate keyboard strokes, mouse clicks, touch or type on a mobile screen and then test, measure and validate the images on the screen - just like a real user. CitraTest® will 'look' at the entire desktop or mobile screen, “move the mouse or finger” to the desired image –regardless of location – and issue the appropriate action, so you will see what the user sees. Complete monitoring with one license: Set up and configure one solution to monitor all your applications (Java, .NET, Citrix, Salesforce, Cassandra, SAP, Epic, Cerner, Terminal-based, legacy applications, etc.). Proactive user-centric monitoring: CitraTest® APM periodically executes synthetic transactions, taking response time measurements along the way. By automating the driving of any application (just like a real user), and visually examining the desktop and responding to changes, driving the keyboard and mouse, or touching a mobile screen-- CitraTest® APM ensures that your applications are working effectively, alerting you at the first sign of trouble. Reuse test scripts for production monitoring: Continuously monitor key user actions and transactions 24x7x365 using the same scripts. See exactly what the user sees: CitraTest® APM recognizes, evaluates and measures response time relying on powerful and proprietary image recognition technology; screenshots are also taken when problems are detected to help you analyze root cause. Measure and validate user SLAs: Build custom monitoring scenarios based on locations (Headquarters, remote offices, etc. ), monitoring functionality (SAP, Salesforce, Website, etc.) or a series of steps (e.g. logging, browse catalog, enter credit card, purchase). Anything can be measured in absolute values, percentages or statistical deviations. Streamline incident response procedures! CitraTest® APM integrates with all the enterprise management frameworks you already own today! Absolutely no elements of CitraTest Mobile are installed on any application or database servers, and no application code is ever changed, so you get complete non-intrusive testing and monitoring that will not impact your production applications. 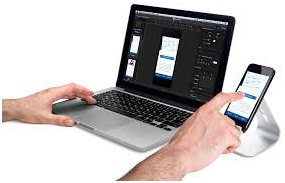 Ready to ensure a quality user experience for your desktop and mobile users? Proactively test and validate your applications, from a desktop or mobile user perspective, with Tevron CitraTest and CitraTest APM!